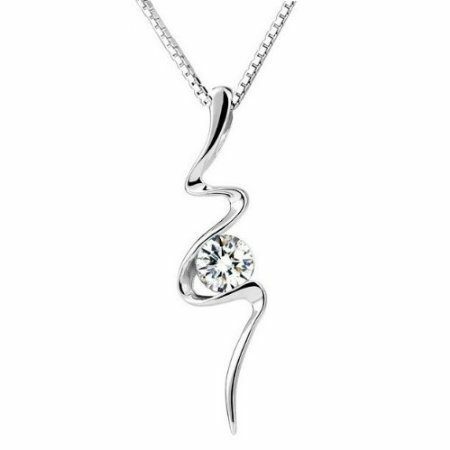 Silver Swirl Journey Zircon Necklace $4.57 + FREE Shipping! You are here: Home / Great Deals / Amazon Deals / Silver Swirl Journey Zircon Necklace $4.57 + FREE Shipping! What an elegant necklace! Get this gorgeous Silver Swirl Journey Zircon Necklace for ONLY $4.57 + FREE Shipping! This would be a great Valentine’s Day gift or guilt-free splurge for yourself!